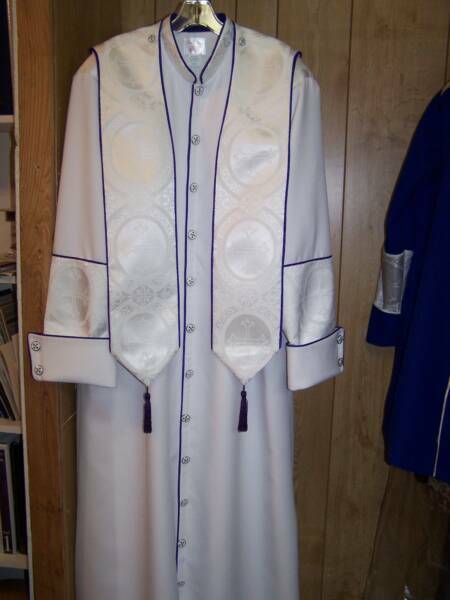 Scroll down for additional Robes. 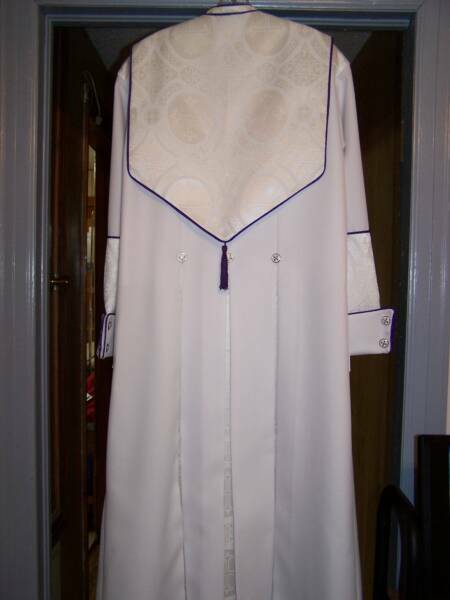 470-3 All white with choice of piping color. 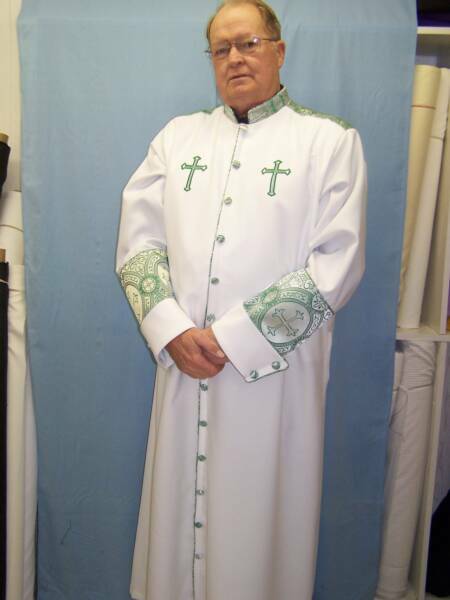 Comes in choice of colors. 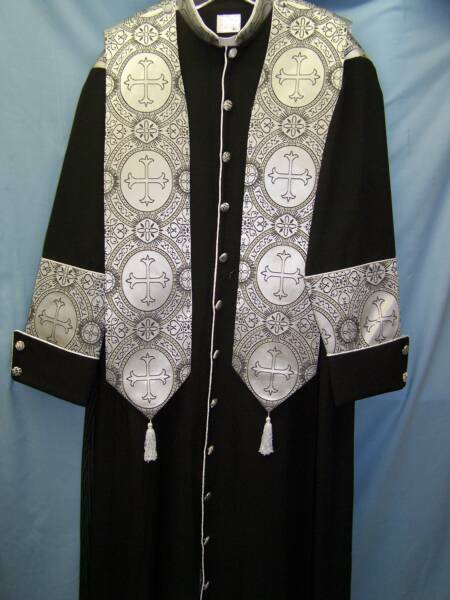 This robe has monogrammed cross on front. 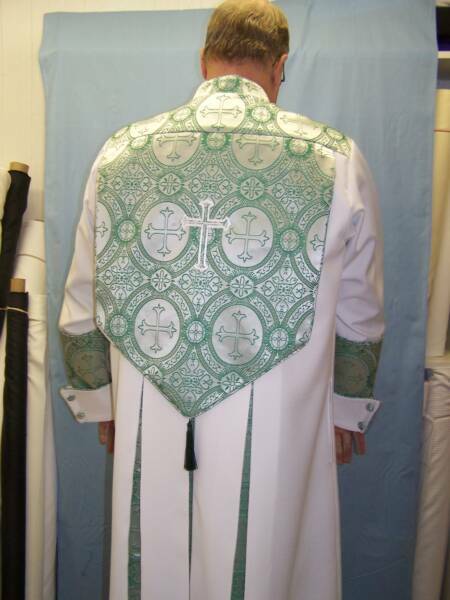 Your choice of monograms. 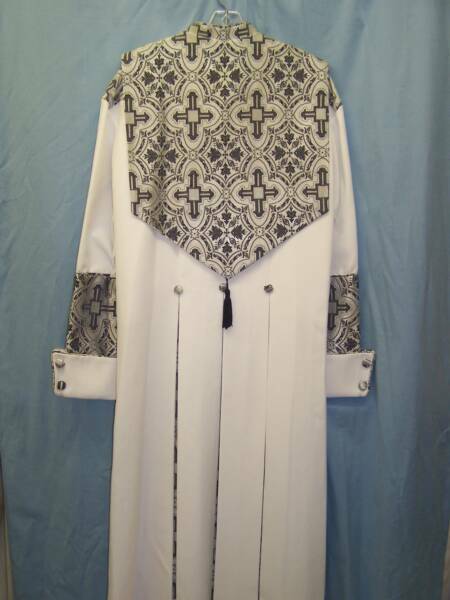 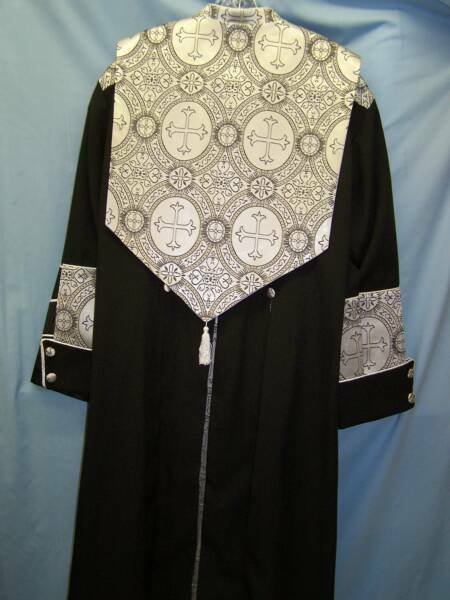 This robe also has the back of the 505 sash permanently sewn in. 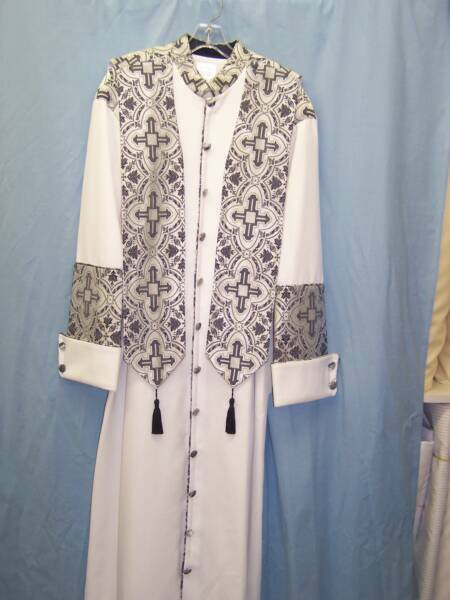 White with Navy / Silver Brocade.